By examining Israel’s development of missile defense systems and the measures taken to ensure the safety of Israeli people at times of conflicts and wars, some implications are drawn from Israel’s experience for South Korea which faces a looming threat from the rogue Kim Jong-Un regime in North Korea. In short, deploying a robust, multi-tiered missile defense system will strengthen its ‘active defense’ and providing clear instructions and information, in advance, to people of what to do in an emergency situation will strengthen its ‘passive defense.’ Both these measures will significantly enhance deterrence and defense posture. Israel has been facing rockets and ballistic missiles threat since the 1960’s when Egypt (a hostile country at the time) launched an indigenous missile program aimed to hit the entire territory of Israel from deep within Egypt. When this program collapsed, it purchased SCUD missiles from the Soviet Union, some of which were actually fired against Israeli troop concentrations during the 1973 October War. Likewise, Syria too acquired Soviet SCUD missiles and FROG heavy rockets which were used to some effects against Israel’s northern air base during the same war. Iraq, Libya and even distant Yemen also acquired Soviet SCUD and other ballistic missiles. Concurrently, Palestinian armed militias acquired short range Katyusha grade rockets which terrorized Israeli border communities. Scores of rockets fired from Northern Jordan at Israeli towns and villages in the Jordan Valley caused damages, casualties and economic disruption. After being expelled from Jordan in 1970, the Palestinian militias move to Lebanon from where they harassed Israel’s northern communities. The devastation and growing number of casualties elicited repeated invasions of Lebanon by Israeli troops in an effort to push the militias back from the vicinity of Israel’s borders. Such military operations brought only brief respites, and were even counter effective: After the Palestinian militias were expelled from Lebanon in 1982, they were replaced with even more radical Iranian affiliated Hizbullah that promptly launched its own terror rockets against Israel’s northern districts. The defeat of Syria’s air force in the First Lebanon War in 1982 triggered a growing missile threat from Syria. Syria’s than ruler Hafez Assad concluded that Israel was and would remain unbeatable in the air. He therefore turned to non-conventional ballistic missiles as his main strategic arm. A large number of SCUD missiles were duly purchased from the Soviet Union, coupled with the development and deployment of Chemical Warfare warheads. By 1985, the Syrian arsenal of chemical warfare ballistic Missile was recognized as a significant strategic threat to Israel. Against this backdrop of growing missile and rocket threats, Israel’s only available response was offensive hence escalatory: To go after the missile’s launchers. The technology of active defense – that is, intercepting and destroying the missiles and rockets while still in flight – was considered unattainable at the time. This however changed when Israel joined President Reagan’s Strategic Defense Initiative (SDI) in 1986. SDI’s core mission was to protect both the US and its allies against ballistic missiles – Soviet ICBM’s in the case of the US, theater range ballistic missiles in the case of the Allies. A jointly funded program of an active defense system against Scud type missiles was quickly promulgated, which ultimately evolved into Arrow, the first indigenous Israeli missile defense program. The program met skepticism with the Israeli armed forces and criticism in the media. The military advocated offensive measures against the missile and rocket threats, while the media was alarmed at the supposedly unaffordable costs. It was only when Saddam’s ballistic missiles hit Israel’s main cities in the 1991 that the skepticism and financial worries were muted. Thereafter, opposition to the Arrow program waned, and it proceeded forth in a series of successful tests which proved it could hit and destroy Scud class missiles in flight. Series manufacturing of Arrow commenced in 1998 and the system achieved initial operational capability in late 2000. While the Arrow program was advancing rapidly, the missile threats were also intensifying. The tempo of and range of the rocket harassment by Hizbullah increased during the 1990’s, incurring growing casualties and damages in Israel’s Galilee. Moreover, the Hizbullah was starting to deploy heavier rockets from Iran like the 75 km Fajer 5 and the 200 km Zilzal. These new types of long range, heavy rockets flew below the effective envelope of Arrow, yet their enhanced threat on Israel’s home front could not be ignored. In response, Israel and the US launched in 2006 a new program to develop and produce the “David Sling” missile defense system optimized against such threats. The new program is centered on an innovative two stage interceptor with exceptional agility and an advanced mobile radar system. The system achieved its first test range “kill” in November 2012 and it became operational in the Israeli Air Defense Command in April 2017. While the lower end threats described above were being matched by the new lower tier missile defense system, the upper end threats were also increasing. When the Iranians disclosed that their Shahab missile range was extended from 1300 to 2000 km, and in view of their then ongoing nuclear weapon programs, it became clear that Israel needed to intercept threats beyond the atmosphere, in order to cope with the longer range – hence faster- ballistic missiles of Iran, as well as to provide more than one single opportunity to destroy them in flight. Israel’s solution was the Arrow 3, a completely new design that could exit the atmosphere and intercept ballistic missiles in space. The new interceptor was required to fit the existing Arrow system of radars and battle management. Since already existing US designed and made upper tier systems as the US Army THAAD and the US Navy Standard Missile 3 fell short of Israel’s specific needs, the new Arrow 3 program was launched in 2007, a jointly funded and developed by US and Israel. Arrow 3 achieved its first test range “kill” in 2015 and became operational in January 2017. While all this was going on, the drumbeat of short range “Katyusha” type fire from Lebanon was quickening. In parallel, a new front was opened in Israel’s south when, starting in 2001, Hamas and Islamic Jihad in Gaza fired homemade rockets (“Kassams”) at Israeli villages and towns along the Gaza Strip border. Later on, using the extensive tunnel system along the Egyptian border, longer range, Iranian made “Katyusha” and even heavier Fajer rockets were smuggled in from the Sinai. The terrorizing of Israel’s southern communities grew steadily more severe and more costly in casualties, damages and economic disruption. Israel’s offensive measures, such as destruction of the rocket launchers or temporary overrunning of the launch sites resulted in no more than temporary respites. In the early 2000’s the required technologies for destroying short range and short duration rockets like “Kassams” and “Katyushas” did not yet exist. Hence, Israel had no alternative to offensive response. Yet the shock of the Second Lebanon War in 2006 when during its 33 days the Hizbullah inundated Northern Israel with 4200 rockets (causing 53 fatalities and hundreds of wounded civilians) convinced even the skeptics that missile defenses against short range rockets was crucial. Selecting from three candidate technologies, the Israel Ministry of Defense chose the innovative “Iron Dome” concept of Rafael. The program was launched in early 2007, achieved its first test range “kill” in 2009 and its first operation “Kill” of a hostile rocket in 2011. Since then it has defended Israel’s border communities and major cities during many rocket attack incidents, culminating in its spectacular performance in the Third Gaza War of August 2014. At the time of writing, Israel is deploying a 4 tier missile shield, capable of defending against rockets and missiles launched from as close as 4 km to as far as 2000 km. To operate this burgeoning array of systems and new equipment, the Israel Air Force upgraded its modest Anti-Aircraft brigade into an up-to-date Air Defense Command, consisting of three wings – the Air Defense, Missile Defense and Training wings. Before the first Gulf War (1990-1991), Israeli also had doubts about the missile defense’s effectiveness and worries about the high cost of deployment. In South Korea, much of the opposition against the deployment of THAAD (Terminal High Altitude Area Defense) has stemmed from emotions rather than cold facts. Also, there have been concerns for China’s retribution over the South Korea’s decision to deploy a U.S. THAAD battery. On the subject of ‘passive defense’ for the population, it will not be far off the mark in saying that it is not something South Koreans take seriously. Monthly civilian drills perhaps have become too lax and particularly, for the residents of Seoul, nothing more than temporary inconveniences to go through in the middle of each month. However, the importance of passive defense cannot be over-emphasized from Israel’s experience. Targeting heavily populated areas does not serve a military purpose. Its sole objective is to break the morale of people with sheer terror and make them accept its demands, or else they will continue suffer pain and destruction. As Schelling wrote, “The object is to exact good behavior or to oblige discontinuance of mischief, not to destroy the subject altogether.”9 This kind of asymmetric war is intent on bringing about the defeat of society rather than the defeat of its military. The role of passive defense for the population and the organization of the home front are thus critical factors that affect the eventual outcomes of potential conflicts (i.e., between success or failure). One needs to ensure that the people can prevail, no matter how forcefully they are coerced into submission. The Israeli people have accumulated a body of experience in this regard. It is evident that a timely alert, even if it only gives a very short time to cover, can be really life-saving. Every building in Israel has its own sheltered area after the introduction of new building code. People can safely take cover in this area once the alert goes off. It is observed that when people go into the interior of buildings for protection, their survival rates are high during an enemy attack. However, unlike an air raid, there is apparently no ‘All clear” situation in the case of long-range artillery and rocket attacks. The proper organization of the home front for such attacks is crucial in keeping up people’s morale and providing sustaining power. Once, the municipal organization crumbles and services cease to exist because public workers are leaving the cities, this has dire implications for millions of people who will be left alone to sustain themselves without basic necessities. The effects of long-range artillery and rocket attacks on heavily populated areas such as Seoul are casualties and damages. Minimizing civilian casualties is mainly the task of passive defense. Active defense should be tasked mainly to minimize structural damages to critical infrastructures such as power plants, waterworks, telecommunication systems and public health. Missile defense must be deployed judiciously to deny the enemy the prospect of achieving its objectives. There are 3,919 shelters in Seoul for over 10 million inhabitants.10 These shelters will provide people basic protection and help them get through in times of crisis. Once a timely alert is issued, there is virtually no time for people to dither about where to run for cover given that Seoul is located only 40km away from the DMZ.11 Therefore, it is critically important to familiarize with one’s surroundings and shelter locations within. According to an Asan Institute survey in 2013, 12 when asked about the level of familiarity with what to do if North Korea launched an attack, around only 1 in 4 people answered in the affirmative. This means that three-quarters of respondents surveyed did not know what to do and had never thought about it. Figure 1: The level of familiarity with what to do if North Korea launches an attack. Source: Asan Institute Survey, Mar 2013. Figure 1 shows 2013 survey findings segmented by gender. 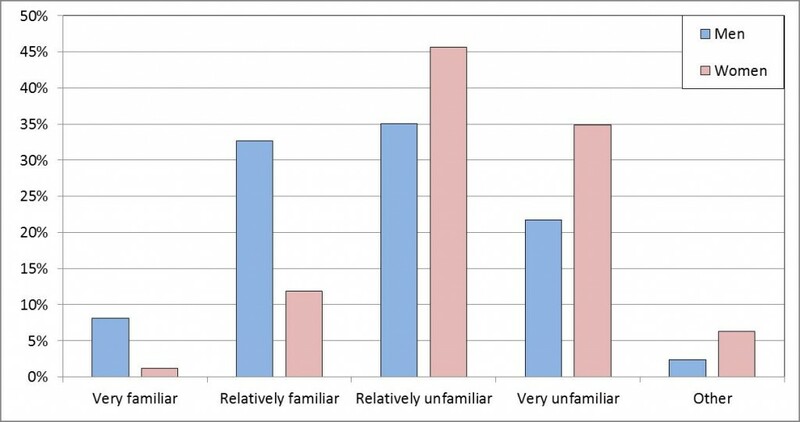 Just over 80% of women chose either “relatively unfamiliar” or “very unfamiliar” as opposed to 57% of men. This may be attributed, in part, to the fact that national service is a statutory requirement for only men. These figures are unacceptably low even taking into account that the survey was conducted 4 years ago. Perhaps 64 years of relative peace on the peninsula has desensitized people too much from dangers that might loom ahead. The government must do more to better inform and educate people about what to do in an emergency so that they become adequately prepared in the unlikely event of such an attack. ‘Passive defense’ is a very cost-effective and proven way of saving lives as experienced by Israelis at first hand. The South Korean government cannot expect the people to educate themselves about what to do in the emergency as evident in the survey findings. The combination of passive defense measures and the multi-tiered missile defense system will protect the life and property of people. 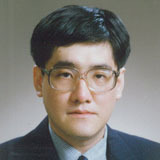 South Korea is crucially lacking in both these measures deemed to be so central to overcoming the conflict envisioned. Israel missile defense is still a work in progress. Its latest challenge is to come up with another layer of a missile defense system that can effectively counter very shorter range threats such as mortar bombs. The remarkable achievements of Iron Dome during the latest rounds of fighting in Gaza demonstrated how missile defense can save lives, reduce property damages, safeguard vital national infrastructures, enhance the resilience of people and provide the political leadership with a wider latitude in managing the crisis. South Korea, a young democracy, is facing its gravest threat to date from Kim Jong-Un, the third leader in the North Korea’s dynastic dictatorship. Strengthening of South Korea’s ‘active defense’ and ‘passive defense’ in the form of deploying a robust, multi-tiered missile defense system and better informing people of what to do in an emergency situation is of critical importance. The latter obviously assumes that all the emergency services are fully in place to cope with any extremely challenging situations. The importance of such preparatory measures cannot be stressed enough and should not be brushed aside as warmongering. On the contrary, these measures will, if anything, strengthen South Korea’s deterrence and defense posture. Israel’s past experiences in missile defense can provide valuable guidance on how South Korea should proceed with its development of missile defense and avoid pitfalls in the course of development. The critical role played by Israel’s home front is not only a lesson for South Koreans, but also for all the residents of regional countries in this part of the world who are misfortunate enough to come under the ranges of North Korean missiles. 1. The South Korean island of Yeonpyeong was attacked by North Korea on 23rd November 2010. The island was hit by rockets and artillery shells and not by missile. 2. This refers to the percentage of warheads (or complete rockets) that manages to evade interception (either because no interception was attempted or because the interception failed) out of the total number of warheads (or complete rockets) that were launched against targets within the defended zone. It is the MOE (measure of effectiveness) of a missile defense battery (or array of batteries) tasked to defend a specific geographic zone. 3. This refers to the probability that all warheads are fully intercepted. It is a very important quantity to consider especially when there is a nuclear warhead. 4. There are two Asan Institute publications of the authors (C.W. Kim) on the subject. But they are only available in Korean (one is a report and the other an issue brief). 6. An evaluation on health risks and environmental impact is being carried out due to concerns of local people. 7. The minimum altitude of 100km is assumed for SM-3 to make an interception. 8. South Korea’s Agency for Defense Development is studying a new type of interceptor that can protect population centers (see https://thediplomat.com/2017/10/south-koreas-joint-chiefs-want-to-intercept-north-korean-rocket-artillery-volleys/). 9. Thomas C. Shelling, Arms and Influence, Yale University, 2008. 10. The total number of shelters can be found on the Dasan 120 Seoul Call Center website. 12. There were 495 men and 505 women in the survey. 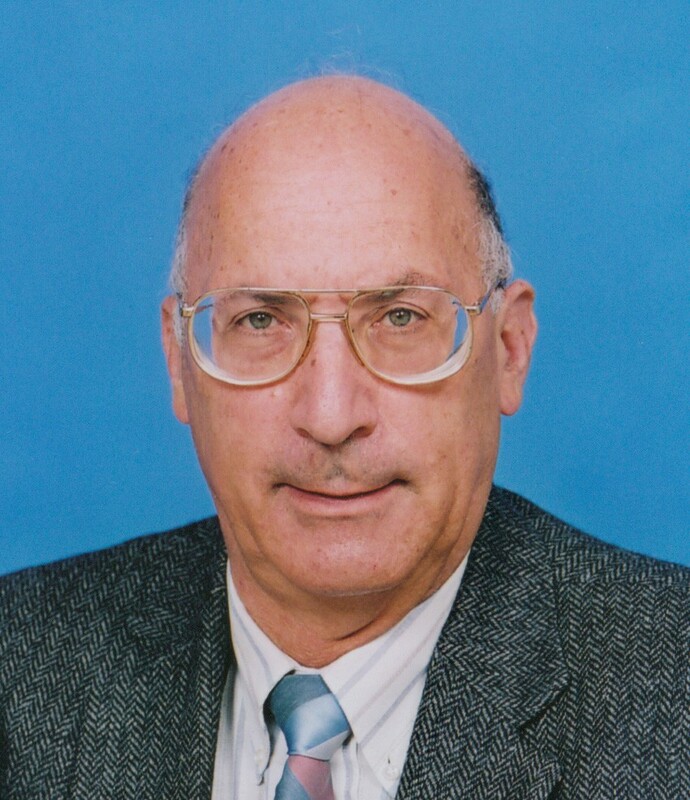 Uzi Rubin was the founder and first Director of the Israel Missile Defense Organization (IMOD) in the Israel Ministry of Defense (MOD), in which capacity he initiated and managed the Israel’s nation wide effort to develop, produce and deploy its first national missile defense shield, the Arrow missile defense system. He led the Arrow program from its inception in 1991 to the first delivery of operational missiles in 1999. He received his ME in Aeronautical Engineering from Rensselaer Polytechnic Institute in 1969 and subsequently directed major programs in Israel Aerospace Industries and the Israel MOD. In 1990 as a visiting scholar in the Stanford Center for International Security and Arms Control he directed a major study on missile proliferation. He also worked in the Israel National Security Council on technology and proliferation issues. He was twice awarded the Israel Defense Prize in 1996 and in 2003, and the MDA David Israel Prize for achievements in missile defense in 2000. He retired from Israel Government service in late 2002. He is currently a Senior Researcher in the Begin Sadat Center for Strategic Studies.